The Commission on Cancer (CoC) of the American College of Surgeons (ACoS) has granted its Outstanding Achievement Award to Anne Arundel Medical Center’s (AAMC) DeCesaris Cancer Institute as a result of surveys performed during 2011. 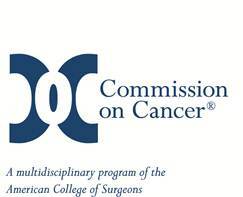 AAMC is one of a select group of 106 currently accredited and newly accredited cancer programs across the United States. The full list of award recipients is available online at www.facs.org/cancer/coc/outstandingachievement2011list.html. The level of compliance with the seven standards is determined during an on-site evaluation by a physician surveyor. In addition, facilities must receive a compliance rating for the remaining 29 cancer program standards. 106 programs, including AAMC, represent approximately 22 percent of programs surveyed during 2011. A majority of recipients are community-based facilities; however, teaching hospitals, NCI-designated Comprehensive Cancer Centers, VA hospitals, and Network Cancer Programs also received the award. The CoC provides the public with information on the resources, services, and cancer treatment experience for each CoC-accredited cancer program through the CoC Hospital Locator at www.facs.org/cancerprogram/index.html and through the American Cancer Society’s National Cancer Information Center at 1-800-ACS-2345.